A few customers asked grace Apple's strategy followed by the company with the iPad last year. In March 2012, the third-generation iPad, dubbed "new iPad", saw the light. This tablet was better than its predecessor in some respects, but worsened slightly in size and weight. 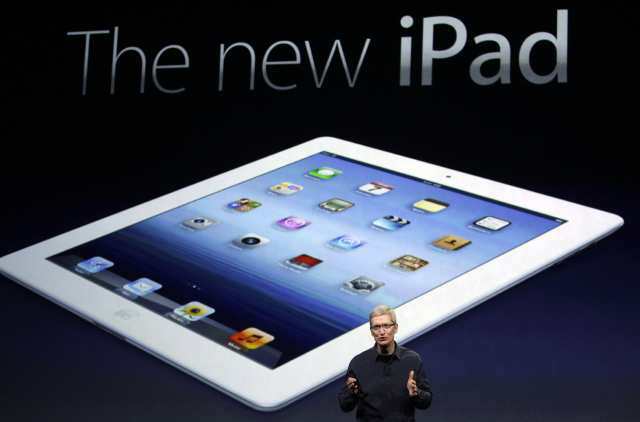 Only seven months later, Apple had the fourth-generation iPad, dubbed as "new iPad" or "iPad with retina display." In short, the third-generation iPad not only lost the title of being "new" in record time, but directly market disappeared without trace. Only those customers who purchased 30 days before the submission of the iPad 4 were able to change it. This is what is called planned obsolescence: in March, Apple iPad was scheduled to release another seven months later: the iPad 3 be obsolete soon. The retina display iPad had a more powerful processor (chip to chip A5X A6X front), a front camera in HD (the iPad 3 had VGA) connector and lightning against the 30-pin dock from its predecessor. The result for those who purchased an iPad 3: tablets lost its value automatically. Planned obsolescence is not a phenomenon that occurs only in Apple: it is something that happens each and every time technology companies. Apple also implements this strategy with other devices every year, but so far had not done so brazenly. So it is not surprising that the company has been sued in Brazil by the Institute of Politics and Law Software, accusing Apple of making customers believe iPad 3 "were acquiring the latest technology on the market, even knowing that was throwing obsolete ". If the Brazilian Institute won this demand iPad 3 customers in Brazil could receive compensation from Apple. Indeed, the strategy with the iPad during 2012 was somewhat unfair to the consumer. What is your viewpoint about Apple software obsolescence? Article Apple and the problem of obsolescence has been originally published in News iPhone .